Replace your damaged or rusted out front floor pan section with this Classic Industries® high quality reproduction! 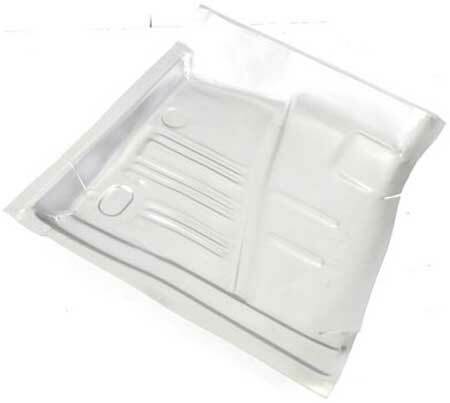 Each partial floor pan is manufactured to exact specifications offering extremely detailed originality and qual ity. Measures 28" long x 26" wide. Important: The seat track mounting area must be removed from the existing panel and reinstalled on to reproduction panel.